How do we love if we're all caught up in this idea of war? "It's a war between the forces of good and evil. God's children are caught in the battle with the forces of darkness. The truth is under siege, Christianity is under siege. We need to fight against the worldly values. The devil is constantly looking to attack us. We are caught in a spiritual warfare"
The metaphor of war. I'm sure the above sentences will be familiar to you if you attend church regularly. 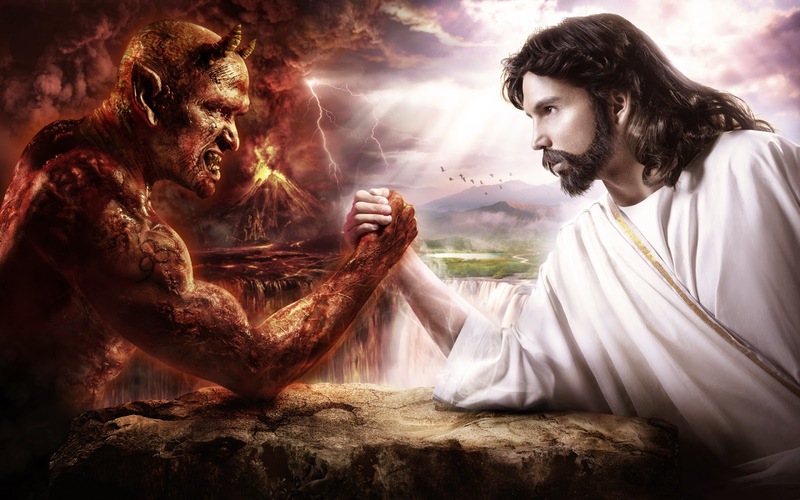 Like it or not, most pastors will at least once in their career have the metaphor of this constant war between good and evil inserted in their sermons. And even if your pastor don't someone in your church will. Growing up in church since young, I have had my fair share of adrenaline fueled sermons that sounded almost like a rally before a battle. Sermons that likened us to being soldiers of God, the earth our battlefield, the mainstream values our enemies and the heaven as our reward. And more often than not, pastors who adopt these message speak in an emotionally filled tone, with the aim of getting us all psyched up, for reasons I don't know why, because we don't really have a beach to storm or enemies to kill after leaving church. I have just finished watching one of Joseph Prince's sermon out of curiousity, as one of my friend shared it on Facebook. I have heard a lot about Joseph Prince a lot of times, and wanting to see how he really is, decided to click on his sermon. To be honest, I didn't really understand his sermon because he's going from saying how Jesus is actually Joshua because their name is the same in Hebrew, how the real gospel is not being preached anymore and how we do not have to do any work in order to be saved. Some part of his gospel I could understand, some got me confused, but for the most of the time I suspect that he was inserting a lot of big quotes in between his message and hoping that his congregation would say amen loudly with him. 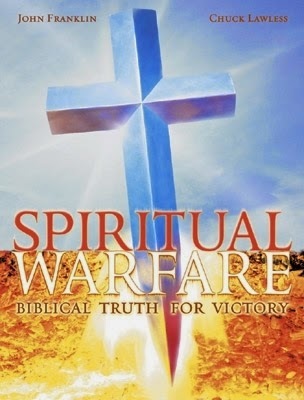 But above all that, his message also contain this talk about this spiritual warfare, of how there are false messages around and how the devil is seeking to manipulate us Christians into believing those false messages, and how we should be on alert and fight against these forces. Don't get me wrong though, because it's not only Joseph Prince who uses the warfare metaphor, I know a lot of other pastors and churches who does this too. The only funny thing being that if everyone is saying everyone else is the enemy, then who's not the enemy? Who are the authentic ones? Coincidentally, I have also finished Donald Miller's book Blue Like Jazz, where he talks about his struggles with Christianity. I liked the way he writes though, because it's blunt and down to earth. He doesn't sugar coat words or writes in an instructional manner like how normal Christian books do, but rather you can feel it like a normal chatter between friends. Which is why I liked reading his words. One of the thing that he mentioned in his book was the power of metaphors, and how we treat people is shaped by the metaphor we adopt. An example he used was relationships, where the metaphors we used are often economic based. We VALUE people. Relationships can go BANKRUPT. 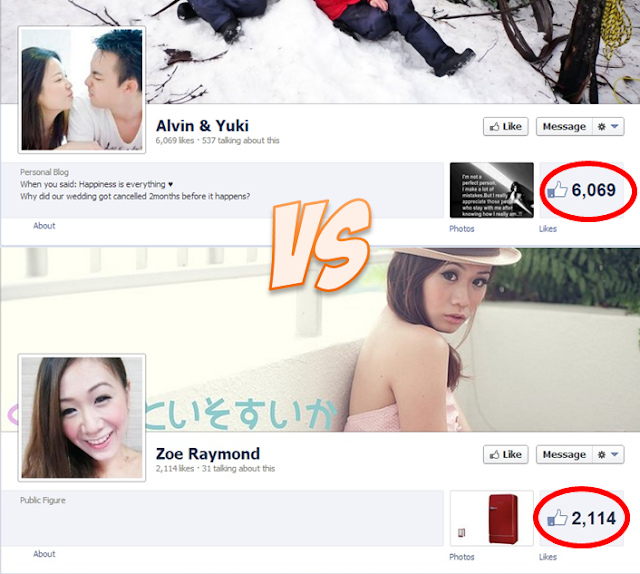 There needs to be an equal EXCHANGE in relationship. Donald Miller says that when we view relationship using an economic lens, it becomes a commodity. Rather than giving a relationship our all, unconditionally, it becomes something we trade for. We tend to expect something before giving something. Not good in Christianity, Miller said, when suddenly the church becomes a marketplace for relationships. We begin to put price tag on people, we begin to measure people's worth, and from all that, we begin to judge. People are then treated unequally based on their imaginary worth in our head. That was not what God had in mind. Another thing that I think Donald Miller missed out was the battle metaphor as well. While the economic metaphor was implicit, the battle metaphor was scarily explicit. Christians are constantly reminded of how they are at war with this world, and how they should fight against the "ungodly" influences. It was a metaphor that I could never understand though, because I felt that it stands in contrary to what Jesus had taught. When we adopt a war metaphor. when our faith becomes sort of like a battleground, we begin to grow wary people. We treat others as enemies, as individuals that we must put down. We adopt an under siege mentality, and in our "war" effort, we clamp down and fortify our defenses, refusing to step out from the small cage that we put ourselves in, effectively shutting ourselves out. It is this warfare metaphor that causes Islam to be where they are today. Because they constantly have this idea that they are at war with the West, they refuse to engage the West, viewing the West as spawns of the devil, effectively dehumanizing them. One of the scary effects from adopting a warfare mentality is that we tend to view our enemies as less human, while putting ourselves in a superior position. We view ourselves as the correct path, while those who are not with us needs to be corrected. A war mentality gives us an excuse to be brutal because our enemies are out to get us, and it's in our basic reflexes to fight back when we are threatened. Sounds logical if you are in a real war, but we are not. By disguising the message in a war metaphor, we are essentially shutting off the fundamental message that we are given: That is to love. If we view others as out to get us, would we spend the effort to get to know them and to love them? If we view our enemies as less humans than us, in that we are morally superior to them, would we spend the time to appreciate them? Definitely not. Rather than viewing them as a friend who needs to be talked to, we view them as an enemy that needs to be put down, which ultimately leads to us demeaning them, judging them and even discriminating them. Is it a wonder why so many non-Christians view us in such a horrible light? I mean how do we get people to listen to us if we ourselves see them as an enemy, an agent of the devil out to get us, instead of a friend? And by adopting a warfare mentality too, we end up doing lots of stupid thing like banning the reading of Harry Potter for example, because it "threatens" our faith. It is a tool of the enemy (yes some churches do think Harry Potter is a product of the devil as it contains witchcraft). to affect the young minds of the children, giving the devil a better entry. And yes that was the exact quote given by a church auntie, though I could never understand how reading Harry Potter may make you wanna suddenly worship the devil. To be honest, we are so caught up in this idea of war that we have forgotten another equally important aspect, love. I'm not saying that there is no spiritual warfare involved, but I think that the way we are doing it is completely wrong. We are shutting ourselves in and make ourselves exclusive, giving ourselves this false impression that we are fighting the correct war and that others are against us. That is not the case. If I'm not mistaken, one of the most potent weapon that we can use against the devil, or to combat his influence, is to love one another. Actually, throw away the whole battle mentality.